The Mill joined forces with Droga5 and Tool Director J.J Adler for an animated version of 'Lemonade,' a film for Toyota demonstrating the process of turning all sorts of things that are going to waste (such as leftover lemonade) into hydrogen. 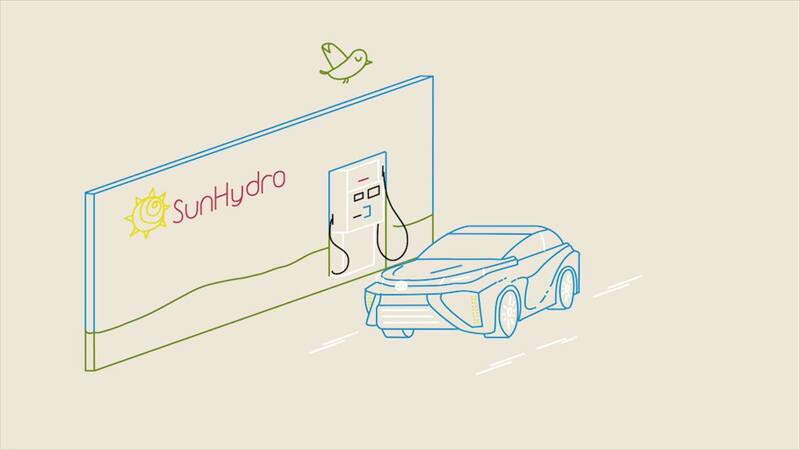 Part of their 'Fueled Everything' campaign, the film goes into detail about storing energy, utilizing hydrogen mixed with oxygen through a fuel cell, creating electricity that turns to energy saved for a later use. This same energy can be used to power fuel cell cars. This break through was simplified with clever animation and design by The Mill. Designer Aran Quinn explains, "The Animation is a mixture of traditional cell animation created in Photoshop and 2D animation finalized in After Effects." When life gives you lemons, you can make lemonade and use the leftovers to create energy to power your car!